Where will you live when your body wears out? We have modern, safe and effective equipment and techniques. This thought-provoking question is exactly why people choose to visit Essential Family Chiropractic. Chiropractic care with Dr David Smith doesn’t just relieve pain — it helps you stay active, able to do what you enjoy in a fully functioning body. 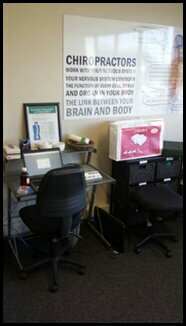 Chiropractic adjustments address the impact that stresses have had on your mind and body over your lifetime. These stresses lead to many different serious consequences such as pain and disease. Dr David looks at your nerve system (the body’s master control system) and any interference which may be present and which is are holding you back from enjoying peak well-being. With a small, non-invasive instrument, Dr David specifically reboots the body so that it works better and can deal with the stress that breaks down your health. His attitude is to use the least amount of force for the most amount of gain. He also uses his hands to precisely manually adjust when necessary. We’ll demonstrate the adjusting instrument on your hand so that you understand the extremely low force that’s required to make a dramatic impact. Dr David has seen patients of all ages, from 1-day-old babies to a 94-year-old. Adjustments don’t hurt unless you’re experiencing a great deal of inflammation and they at least help reduce the inflammation and kick start the healing process. Remember, these precise adjustments allow your body to start getting better and rebuilding. Dr David may use Activator Methods®, Cranial Work, Thompson, Diversified and Torque Release Technique, depending on what is most appropriate for you. Ready to get started? Contact us today to book your time! We offer free off-street parking.